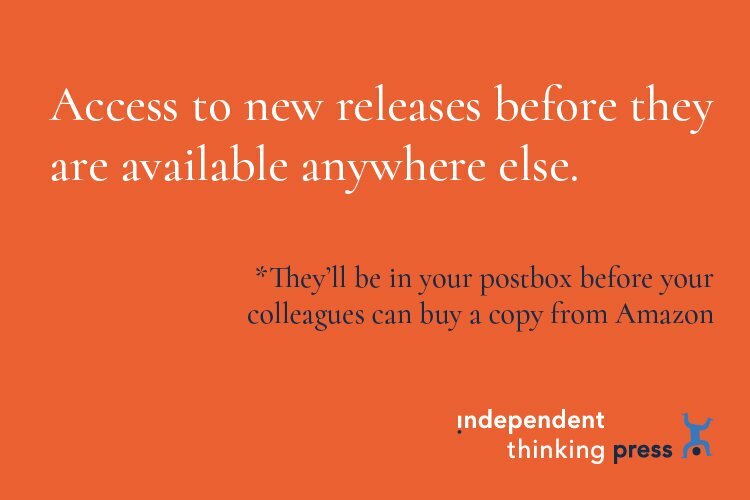 However, with decades of experience working in all types of school around the globe, the many Associates of Independent Thinking know there is always another way. Ian Gilbert and the Associates combine their collective wisdom and experience to take a fresh look at the present and future of education and invite the reader to think, deeply, on what really matters and to reflect on their practice accordingly. Regardless of the reader’s specialism or background, there is something for everyone in this diverse and insightful anthology. Edited by Ian Gilbert with chapters by Mark Anderson, Lisa Jane Ashes, Bethan Baëz-Devine, Phil Beadle, Jackie Beere, David Cameron (The Real David Cameron), Paul Clarke, Tait Coles, Mark Creasy, Mark Finnis, Dave Harris, Crista Hazell, Martin Illingworth, Nina Jackson, Rachel Jones, Gill Kelly, Debra Kidd, Jonathan Lear, Trisha Lee, Roy Leighton, Matthew McFall, Sarah Pavey, Simon Pridham, Jim Roberson, Hywel Roberts, Martin Robinson, Dave Whitaker and Phil Wood. There is also a paperback edition available, ISBN 9781781353097. All of the royalties from sales of this book will go to the Big i Foundation.